Milken Archive: Intimate Voices: Solo and Ensemble Music of Jewish Spirit"
Our virtual exhibit "Intimate Voices: Solo and Ensemble Music of Jewish Spirit" continues its multimedia exploration of Jewish chamber music, from its roots to its fully mature--and still evolving--art form. Drawing on Jewish traditions, rites and folklore, the included works use the medium to evoke history and push boundaries, all on an intimate scale, all with a personal connection. I picked this up at a recent concert by the Yiddish Art Trio here in Boston. Both musicians, Ben on trumpet; Patrick on accordion, are vital members of the post-revival younger generation. Patrick released a wonderful, wildly diverse full-length CD a few years ago, Stagger Back, and I see him most often with various bands that include Michael Winograd and Benjy Fox-Rosen. I first noticed Ben as part of the legendary Princeton band, the Klez Dispensers. He is making a growing name for himself as a jazz trumpeter. This is just a short recording, but I have been listening to it over and over. It starts with some traditional klezmer, to which the musicians have added some incisive improvisation, moves through Scriabin and Chopin, and finally ends with a Brian Wilson tune. What I like best is that the two play seamlessly, and beautifully together. I also appreciate that the music is often thought-provoking, and that I hear not just pop or classical or klezmer, but parts of something new that pulls these, and other influences, tunefully, together. in short, just the short of recording, short though it might be, that my ears are always on the lookout for. You can get your own copy on Farrell's website. It will make for excellent Shabbes listening, good throughout the week. Classical mandolin artist Avi Avital has been recognized as one of the world’s most exciting musical entrepreneurs, building a fresh legacy for an instrument with antiquated roots in the folk tradition through virtuosic performance and exciting new repertoire. On December 1, 2010, Mr. Avital was nominated for a Grammy® Award for Best Instrumental Soloist with Ensemble for his performance of Avner Dorman’s Mandolin Concerto, commissioned by Mr. Avital in 2006, and recorded in 2010 with the New York-based Metropolis Ensemble, conducted by Andrew Cyr. This nomination marks the first time a mandolin soloist has been nominated for a Grammy® Award in a classical music category. If I had the time, I would wax lyrical about a special evening sponsored by Hebrew College's School of Jewish Music (SJM) this past Saturday night. Instead, I will try to honor Yehudi and Hebrew College, and perhaps whet people's appetite for more. The event featured Professor Wyner presenting a series of art song featuring music by his father, Lazar Weiner (father and son spell their family name differently. Insert obligatory immigrant joke here). Wyner introduced many of the songs, and featured singing by a range of luminaries starting with both the President of Hebrew College (Daniel Lehmann) and head of the SJM (Cantor Dr. Brian J. Mayer) and including Cantor Louise Treitman and HC student Rick Lawrence. In addition, we got to listen to several songs by Lynn Torgove, who was also featured in a recent performance (Nov 5, 2010) of Yehudi's own pieces, performed by the Cantata Singers, at Jordan Hall. The voices were magnificent. The thing is, Yehudi Wyner also helped us hear with his father's ears. As a typographer, for the first time I made that connection between art song—composing music that enables the ears to hear and appreciate the poet's words—and typographer, the art of printing a poet's words so that the words are noticed. In both cases, the communicative medium, whether it be music or print, is most successful when the medium is missed, but the words, the poet's intent, are heard. Indeed, as Yehudi stated, and then proved with his playing and the singing of the actual pieces by such masterful voices, Lazar Weiner had an incredible gift for writing spare music, setting the words perfectly. And this music should be studied with German and Italian and French art song—it should not be relegated to an afterthought as though of interest only to musically-educated Yiddishists. This music is wonderful world heritage, not just Yiddish heritage. Wyner talked a little bit about the brief blossoming of Yiddish art song under the patronage of Russian composer Rimsky-Korsakov, in both Moscow and St. Petersburg. Wyner didn't mention the St. Petersburg school by name, but scholars, or those who know just enough to have dipped into the recent Milken Archive series will be familiar not just with Weiner's name, but the names of Joseph Achron, Joel Engel, etc. It is almost criminal that pieces this good are heard so seldom, and I feel very fortunate to have been present to hear Yehudi's stories, along with the exquisite performances. This was not a random event. The SJM is seeking a higher profile, and I would presume would be very happy to talk with sponsors and donors who can further its programs. Starting just a few years ago, there are now 31 students and 10 graduates. All of the graduates, according to Acting Dean Mayer, found immediate employment. That, too, is a neat statement in these times. Stay tuned for a symposium on Yiddish Art Song later in 2011 which will feature scholars such as Mayer, Josh Jacobson, Hankus Netsky, and other members of a very rich Jewish music community here in Boston. If you are interested in knowing more about the music of Weiner (and Wyner! ), or the SJM, check out their website, www.hebrewcollege.edu/jewish-music-cantor. You should also contact them to get on the mailing list for the forthcoming symposium. Jewish-Music mailing list regular Mike Regenstreif has begun writing reviews of new Jewish music for the Ottawa Jewish Bulletin. He has graciously begun sending the columns to the KlezmerShack for publication online here. You may have heard Israeli-born cellist Maya Beiser on NPR a few weeks ago. Here, Mike reviews her excellent new album, Provenance. Bassist Jim Guttman has been the rock holding Boston's own Klezmer Conservatory Band together since the band's formation these many decades ago. It's taken him a long time to release a CD under his own name, and we've put up with it because his "day band," is, after all, pretty spectacular. This CD, he says, is the one he's longed to create for years, and Mike discusses what makes Bessarabian Breakdown. Mike notes the Ashkenaz Festival debut by the Red Hot Chachkas with admiration—and well he should. I was sitting with Philadelphia drummer Elaine Hoffman Watts while they were doing their set, and Elaine was pretty admiring, herself. I've reviewed previous CDs with great pleasure. 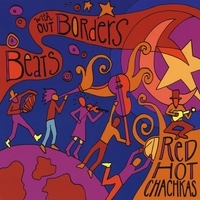 Their newest, Beats without Borders deserves everything nice that he says about it. 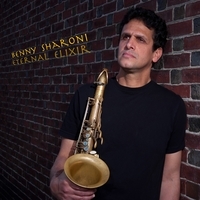 I've never heard of jazzman Benny Sharoni until I read Mike's review of Eternal Elixir. I would be very surprised if jazz fans don't really enjoy what they hear when they check out the bebop and ballads on the new CD. I have mixed feelings about this announcement, given how ambivalent (to put as positive a spin on it as possible) Alma Gluck felt about the "Jewish" part of her heritage. JSA highlights two brilliant Jewish performers from the early 20th century. About a hundred years ago two Jewish superstars of classical music met and fell in love. They were young, they were talented, and they made beautiful music together. Even before her marriage to the violin virtuoso, Efrem Zimbalist, famed operatic soprano Alma Gluck enjoyed a highly successful recording career. The Zimbalist-Gluck romance provided lots of material for the gossips of their day. While the idea of such a wonderful pairing of talents was thrilling, there were those who pointed out that Gluck was six years older, as well as a divorcee with a daughter. Scandalous! After their marriage the Victor/Victrola company capitalized on a sure bet....recording the newlyweds together. You can read more about these performers and their romance on JSA’s blog. The JSA is proud to announce this special collection of music featuring the combined talents of these legendary performers. Matt McGarrell's wonderful arrangement of klezmer tunes for clarinet and wind symphony. which I performed last month with the Brown University wind symphony. I love the arrangement. It was such a pleasure to work with them. 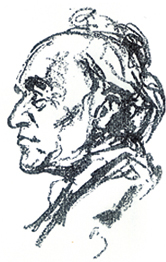 George Robinson's latest piece for the Jewish Week discusses the question of the grandson of Haskalah founder Moses Mendelssohn possibly returning to Judaism (his father converted both Felix and sister Fanny when they were young). In Mendelssohn, Lost And Found, Robinson talks about a plethora of pieces that were not published in Mendelssohn's lifetime. It's a fascinating piece, and will hopefully inspire some thinking and research, but to me, the most significant "lost" Mendelssohn is older sister Fanny, who not only played an active role in much of Felix's output (to the degree that some historians feel she should be credited as "co-author" of many pieces, and the possibly-not-coincidental fact that Felix died within months of Fanny), but whose own career as a musician and composer was prevented by both father and brother who felt it entirely inappropriate that a woman should be engaged in such pursuits. One could hope that at least some of the 200th anniversary concerts would acknowledge Fanny (and at least one concert in NYC does), but here in Boston, when the Boston Symphony Orchestra played the 200th anniversary "all-Mendelssohn" concert, they meant Felix only. Sad. Check out your local library for some recordings of Fanny's music that have been recorded and you'll see what I mean. By me, Fanny is the real "lost" story—and for most people, she still hasn't been "found." My knowledge of music in general, and of classical music in specific, is limited. But hearing of a lecture about Russia's Jewish Folk Music Society, during this, the centennial of the society's founding, was exciting. Here's the thing. Back in the early 20th century you had the Jews infiltrating Russian conservatories. They decided to band together and create "Jewish music." But, what did that mean? Bel Canto - were these recordings =really= the nusakh from temple days? "Thirty years before the common era—a century before the destruction of the Second Temple—some Jews left Jerusalem for Rome. There, they established a community whose cantors chanted Torah in the tradition they brought with them from the land of ancient Israel. It was an insular community and over subsequent generations, that insularity helped preserve the community's distinctiveness. Over the ensuing centuries, the Roman cantorial style remained relatively unchanged, impervious to the flourishes and innovations of newer traditions that arose in the Sephardic and Ashkenazic worlds." New England Conservatory, 241 St. Botolph Street, Boston, will host two ten week courses with Instructor Yelena Neplok. 'Eastern European Jewish Musical Traditions' runs on Wednesdays, October 1-December -17, 2008, from 7:00-8:30 p.m., and 'The Art of Russian Piano Music' runs on Tuesdays, October 7-December 16, 2008, from 7:00-8:30 p.m. Registration is now available. Tuition for the NEC School of Continuing Education is $375, and financial aid is available. For more information and registration, contact: 617-585-1125 (NEC) or call the instructor at 617-566-7969 or e-mail the instructor. Charles Krauthammer knows his way around the written word. But next month, the Pulitzer Prize-winning Washington Post columnist and his wife, artist Robyn Krauthammer, will unveil a project devoted to the music note. Pro Musica Hebraica, a new Washington-based organization spearheaded by the couple, will be devoted to highlighting historically neglected works of Jewish art music as well as commissioning new works. James Loeffler announces this new organization, of which he is the Research Director, and the groups' inaugural concert on April 10. Pro Musica Hebraica is a new organization devoted to presenting Jewish classical music—much of it lost, forgotten, or rarely performed—in a concert-hall setting. We launch our ongoing concert series at the Kennedy Center in Washington, D.C. on April 10, 2008. This inaugural concert celebrates the 100th anniversary of the St. Petersburg school of Russian Jewish composers who a century ago began their own quest to create modern Jewish music. In homage to these musicians, our logo is a reproduction of one of their early concert programs. The concert series is the result of a unique partnership between The Juilliard School and the Kennedy Center, featuring the musicians of the Juilliard Chamber Music Program together with special guest Itzhak Perlman. Key Bloch scholars will present papers on all aspects. Tzadik recordings artists Davka have been working on an interesting fusion of new Jewish music for a decade, fusing classical training and traditions with klezmer, yiddish, sephardic, and middle eastern sounds. A few years ago they appeared at the Berkeley Jewish Music Festival with an amazing women's Balkan chorus, Kitka. I have been a fan of the latter almost since their inception in 1979 and treasure my cassette copy of their first release. In a PBS special that aired in December 2006, the two groups appeared together, again. There are also some interviews with members of the two ensembles about Jewish music and what it is to them. Kitka performs a wide variety of Jewish, primarily Sephardic music, while Davka also delivers a very nice live performance. They close with a few numbers together and are joined by Cantor Stephen Saxon (KlexX). It's a lovely program. If your PBS station hasn't yet aired it, encourage them to do so. Or, purchase a DVD (more interviews, songs) yourself. Okay, one more important article that has been waiting several months. Stewart Cherlin has been writing for the KlezmerShack since 1997. His most recent article is about the Czech composer, Viktor Ullmann, who composed some amazing music in Terezenstadt before being shipped off to Auschwitz by the Nazis. Those who heard the lecture on his music at the Milken Conference a couple of years ago, or who have been privileged to otherwise encounter his music know that this isn't just your average Schoenberg-student does 20th century shtick music—this is "stick it to the Nazis in full glorious and conscious defiance" music. Many thanks to Stewart for writing an article about the music, and this past summer's performances in Chicago. We've added some links to learn more about Ullmann, as well. This week's Forward includes an article by me about contemporary composer Daniel Asia, one of the premiere Jewish classical composers of our era. In honor of his 50th birthday, there will be a retrospective concert of his works at Merkin Hall in NYC on January 17th. New Haven, Conn. Yale University will host a conference on April 12 and 13, celebrating the acquisition of a major collection of Jewish music by the University. The Wallersteiner Collection of Jewish Music includes about 700 pieces of sheet music of popular, liturgical and theater songs and hymns from Germany, the United States, Israel and elsewhere from the late 19th and early 20th centuries. The collection was acquired by the Irving S. Gilmore Music Library at Yale. For further information check the conference web site at www.library.yale.edu/judaica/music/index.html or contact Nanette Stahl, conference director, at nanette.stahl@yale.edu or phone number (203)432-7207. Centuries-old liturgical tradition comes alive on CD of Jewish tunes. 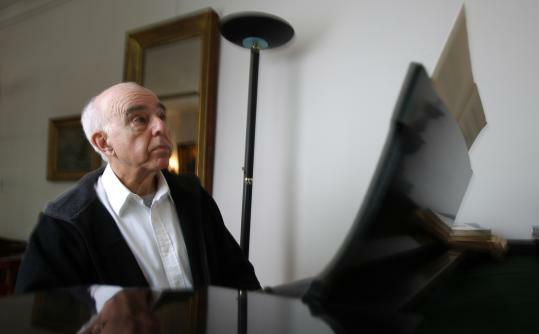 "I'm writing because the CRI (Composers Recordings, Inc.) label, which put out my CD "No More In Thrall," is going out of business after almost 50 years. ... "No More In Thrall" was written to commemorate the 50th anniversary of the liberation of Nazi concentration camp at Buchenwald, and is performed by the Sirius String Quartet with Kevin Norton on percussion. CRI's catalogue, which is quite extensive, will be take over by New World Records, which will re-release the CRI recordings over a number of years. Right now, CRI and its distributor is selling their remaining stock at a bargain rate price. So, I wanted to ask you to forward this to some of the Jewish music distributors you know from the list to see if they are interested in picking some up at a good price. No one will be distributing this for several years at least. It is a very fortunate privilege to inform you of a record of great musical and historical significance. This is the story of Anita Lasker-Wallfisch, a very young musician whose life was saved by her cello. It is also a testament to life in Auschwitz and the founding of a musical dynasty. Anita Lasker-Wallfisch narrates her own story which is illustrated by music chosen and played by herself, her son Raphael Wallfisch and grandsons Benjamin and Simon. The highlight of the recording is the rarely heard and very beautiful "Requiem" Op. 66 for three cellos and piano by the 19th century Jewish Composer, David Popper. It is played here by three generations of Wallfisch cellists.